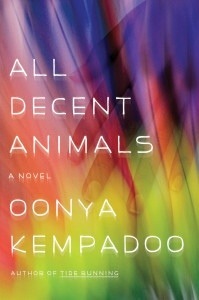 Christopher’s book review appears in New Orleans Review of ALL DECENT ANIMALS from author Oonya Kempadoo. This is her third novel and is published by Farrar, Straus and Giroux. Click here to read the full review at New Orleans Review. Kempadoo’s first novel, Buxton Spice, was published 1998. The New York Times described it as “superb, and superbly written”. Both of her first books were nominated for International IMPAC Dublin Literary Awards. She was named a Great Talent for the Twenty-First Century by the Orange Prize judges and is a winner of the Casa de las Américas Prize. New Orleans Review is a journal of contemporary literature and culture, publishing new poetry, fiction, nonfiction, art, photography, film and book reviews. The journal was founded in 1968 and has since published an eclectic variety of work by established and emerging writers, including Walker Percy, Pablo Neruda, Ellen Gilchrist, Nelson Algren, Hunter S. Thompson, John Kennedy Toole, Richard Brautigan, Barry Spacks, James Sallis, Jack Gilbert, Paul Hoover, Tess Gallagher, Sherman Alexie, Rodney Jones, Annie Dillard, Everette Maddox, Julio Cortazar, Gordon Lish, Robert Walser, Mark Halliday, Robert Olen Butler, Michael Harper, Angela Ball, Joyce Carol Oates, Diane Wakoski, Dermot Bolger, Ernest J. Gaines, Roddy Doyle, William Kotzwinkle, Alain Robbe-Grillet, Arnost Lustig, Raymond Queneau, Yusef Komunyakaa, Michael Martone, Matthea Harvey, D. A. Powell, Rikki Ducornet, and Ed Skoog.